It is a HOT day out today in most of the country. On our morning new today they said it was going to be the hottest day of the summer so far. The day of my daughters birthday was extremely hot, so if today is hotter, I don't think I will be outside much today. Today would be a great day to play in some sort of water. If you have a pool or beach nearby, lucky you! At our house we either have to sit in a baby pool or run through the sprinkers. 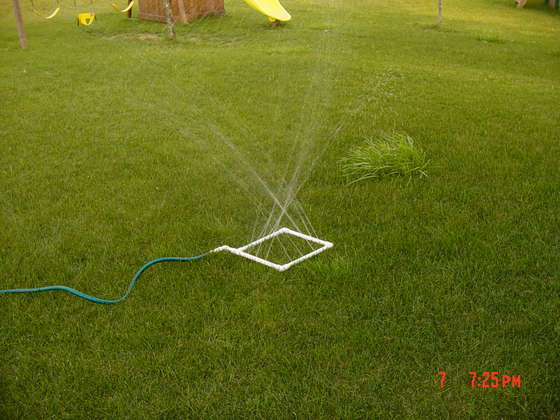 If that true at your house as well, I found some fun ideas on what you can do with a hose. Here is a fun idea from Making Memories on how make a sprinkler with a pop bottle. 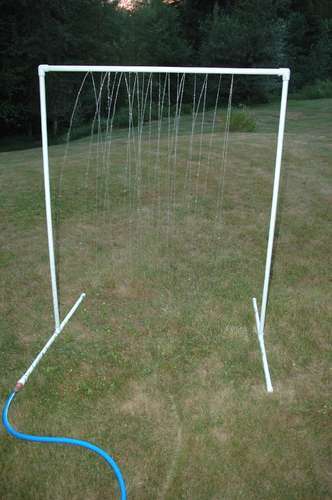 It is simple to make and looks like fun to use. Whatever you decide to do today, hope you are able to stay cool!